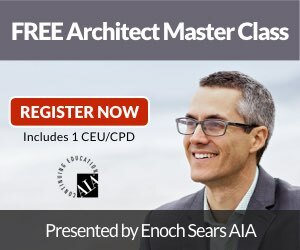 Here's what I wish someone would have told me when I chose to become an architect. Whether I would have listened or not is an entirely different story! If you design it they will come. Somewhere in our design education we get the idea that all we need to do to impact the world is become a wonderfully proficient architect. However, this is only half of the equation (perhaps less). If you can't market and sell your services, you'll never have the impact you otherwise could have had. This applies whether you are in business for yourself or working for someone else. At the end of the day, we are all selling something – our vision, our ideas, our creativity. Let me know what you think about this advice. And go out and conquer the world.